Holman Bible Publishers' NKJV Large Print Compact Reference Bible slips nicely into a coat pocket, briefcase, or purse and is a perfect gift for a person on the go who wants to keep the Word on hand at work or when traveling. Its features include a presentation page, the words of Christ highlighted in red type, end-of-verse references, eight four-color maps, concise concordance, 52-week reading plan, and more. NKJV Compact Reference Bible, Large Print, Pink was published by Holman Bible Publishers in August 2018 and is our 10245th best seller. The ISBN for NKJV Compact Reference Bible, Large Print, Pink is 9781433647338. Very good to carry in handbag. Got a question? No problem! 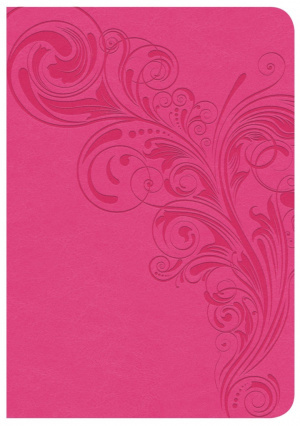 Just click here to ask us about NKJV Compact Reference Bible, Large Print, Pink.